1 Peter 5:7-11 (MSG) 6-7 So be content with who you are, and don’t put on airs. God’s strong hand is on you; he’ll promote you at the right time. Live carefree before God; he is most careful with you. 8-11 Keep a cool head. Stay alert. The Devil is poised to pounce, and would like nothing better than to catch you napping. Keep your guard up. You’re not the only ones plunged into these hard times. It’s the same with Christians all over the world. So keep a firm grip on the faith. The suffering won’t last forever. It won’t be long before this generous God who has great plans for us in Christ—eternal and glorious plans they are!—will have you put together and on your feet for good. He gets the last word; yes, he does. It is time for us to stop believing the lie that things will always go the way we want them. Yes we do get what we want at times but if that was the case always, we would never learn to appreciate the process. The process is what God uses to make us. The process develops us and gets us ready for what we have been asking God for. There is protection in unanswered prayers. God does not give us what we want at times but He always gives us what we need. It is time for us to stop giving people false hope and false expectations. We must stop telling people that everything will be ok when in fact it might not! God does not work everything out the way we think he should but He works it out for our good. It is up to us to see the good in what God does in our lives. Every good and perfect gift comes from God. Does that mean you give up hope? No, of course not! It means you have to learn to see things from a different perspective. You have to look for the good in each and every situation. It means we must live by faith and not what we see! It is time to stop believing that we will receive results just by “waiting on God.” The truth is, we have to do our part. The Bible plainly tells us that faith without works is dead. In 2004 the Lord spoke these four words to us and we have been holding on to them since; practical application and hard work. It takes believing, trusting, praying, but it also takes action, planning, and preparation. Sometimes you have to work your bottom off to get the results you have been looking for. Everything will not be handed to you on a silver platter. Again, that provides little benefit. Even while we are working we need to trust God to do what He does best. Many get trapped here believing that they have to do it all. That is unbalanced as well. God works with us to manifest the vision. He works with us to show us the proper path to take. He provides strength and encouragement when we can’t see the way. So if you find yourself discouraged today, because you can’t see the forest for the trees and you feel as though God has abandoned you. You feel alone in your relationship. You are afraid and anxious about the next move or even if you are fighting to hold on to your faith. I challenge you today to let go of your expectations. Let go of your own preconceived notions of how it will all work out and trust that God has a plan and a purpose. Follow His promptings and do obey His voice. That is when you will begin to see breakthrough! Trust that HE is at work in your life. Cast your cares, all your worries, all your fears, all your doubts on God today knowing that He will strengthen and settle you and bring you to an expected end. 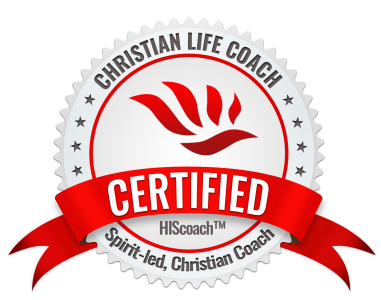 Breakthrough Coach~ Breaking you through to a better you!